Cover illustration: parade of Roman soldiers and knights, from the triumphal column dedicated to Antoninus Pius, Rome, AD 161. 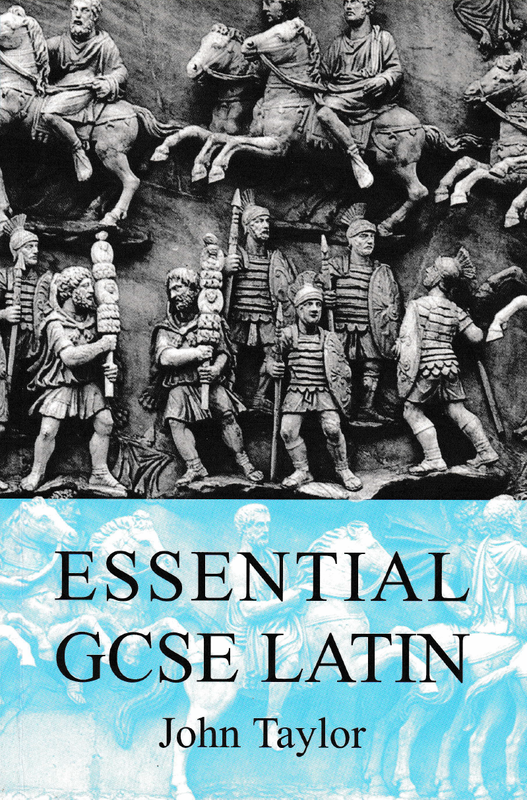 Essential GCSE Latin is neither a complete course from scratch nor a reference grammar, but a summary of all the linguistic requirements for the OCR Examination Board specification (2007 onwards), aimed mainly at pupils in their GCSE year. Whatever course they have used, many students remain very hazy about grammar. It is difficult to track back in a multi-volume course to the first introduction of a particular construction. Traditional grammars, on the other hand, can be forbidding, and often do not give enough help with syntax and idiom. This book breaks everything down into bite-sized chunks, with examples and practice sentences (650 in all) on each point, and generous cross-referencing. It concentrates on the understanding of principles in both accidence and syntax, in order to cut down on rote learning. Practice passages for the optional harder unseen translation passage are included.